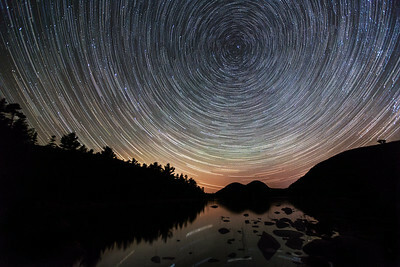 Jordan Pond - Acadia National Park , Maine Star trails over Jordan Pond show a bit of glow on the horizon from near by light pollution as well as a hint of the Northern lights. 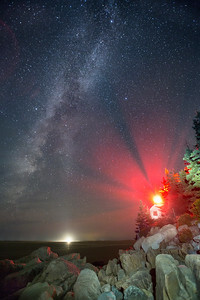 Bass Harbor Lighthouse - Acadia National Park, Maine A 20 frame panoramic showing the Milky Way arching across the sky as the red light from the Bass Harbor Head Lighthouse illuminates the right side of the view. 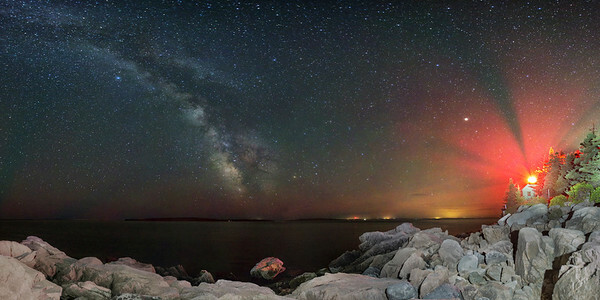 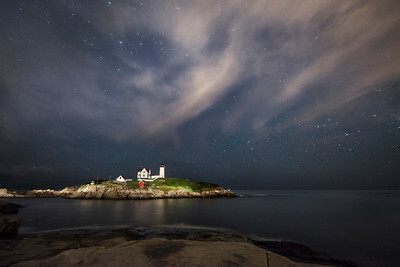 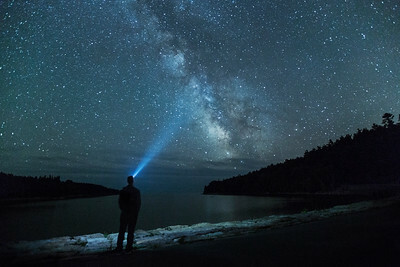 A 20 frame panoramic showing the Milky Way arching across the sky as the red light from the Bass Harbor Head Lighthouse illuminates the right side of the view.